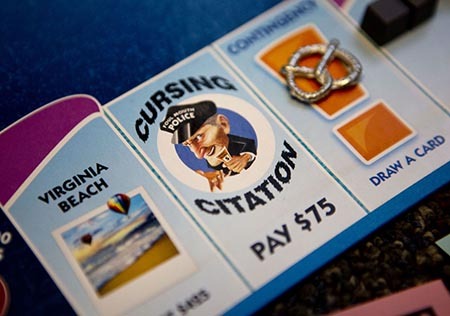 What would a Cape Charles Monopoly Game Look Like? 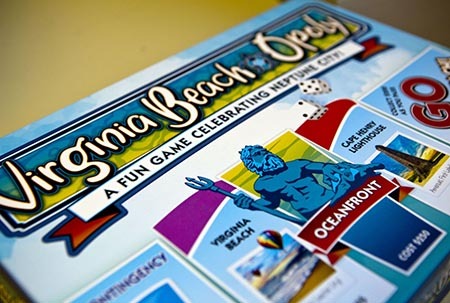 A game similar to Hasbro’s Monopoly – Virginia Beach-Opoly, is now available in three area Walmart stores. The game manufacturer, Late for the Sky, is actually based in Cincinnati. To find content for the games, game interviewers talked to locals and used internet searches. Traveling around the board, you will of course find high-priced properties, but also King Neptune and she-crab soup. The game is not leased by Hasbro, so elements like Chance! and Go To Jail are not part of the game. Instead of jail, you’re stuck in a traffic jam, or you are out of gas. Bonuses include things such as winning the Neptune Festival Sand Sculpting Championship. 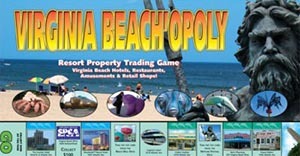 Virginia Beach-opoly features Mount Trashmore, Ocean Breeze Water Park and the Cape Henry Lighthouse. 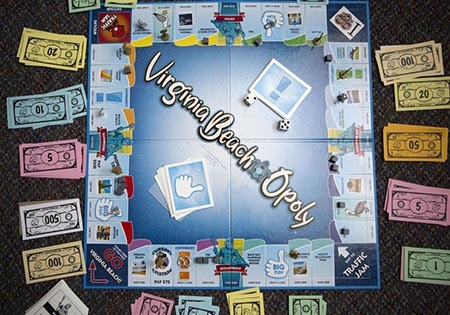 The VB game makes us wonder, “what would a Cape Charles game look like?” If you have any ideas about board locations, and what should be included on the game cards, comment to this story! I’ve previously made “Opoly” games for 2 organizations where I worked. It was great fun! Street names would be easy. Could use the old railroad and ferry names, as well as our local restaurants/shoppes. Would be willing to help create the Board. Note: Maggie, we should do this. What would be the next steps?